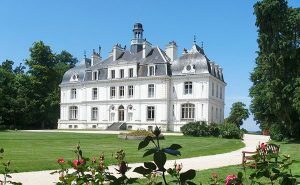 This this magnificent 27-hectare park offers stunning views over the estuary of Rance, the Solidor Tower and the Bay of Saint-Malo. You will discover an extremely diverse herbaceous flora, a rich forest flora and numerous species of birds. The castle, was acquired by the City of Saint-Malo in 1999, it regularly hosts expositions and events. 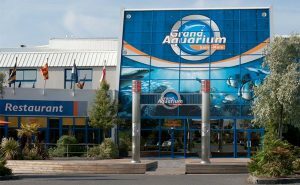 The Grand Aquarium of Saint Malo will take you on an amazing adventure ! It presents 8 themed exhibition rooms from cold abyssal waters to warm tropical waters, a two-hour visit to discover our 50 fish tanks, 10 000 fishes and more than 600 species. The wildlife is colorful, with strange and surprising fish. Dive head first into a deep sea exploration on board the Abyssal Descender, a true-to-life simulator and a unique worldwide attraction. 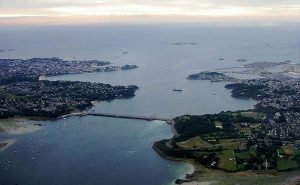 The EDF discovery area of tidal power plant of Rance offers visitors an immersion in the world of energy. A life-size scale turbine, interactive terminals, models, videos, information panels and a view of the engine room allow visitors to discover the operation of the plant, its history and its environment (wildlife and flora). SRV: Virtual Reality Studio One of the first VR arcades in Europe. Discover new experience by immersing yourself in a virtual world solo or in a group, with family or friends. Through the VR helmet high technology, you can feel the adrenaline of a Formula 1 driver, the wonder of a dip in the middle of the Great Barrier Reef, the thrill of weightlessness, and many other unknown sensations. As a town of sailors and navigators, the former pirate city of Saint-Malo offers all kind of water sports, sailing and yachting. Why not trying kayak paddle in the bay or”longe côte” aquatic walking or Embark on a boat and get a different feeling! Treat yourself to a getaway break and indulge in some serious pampering at the Thermes Marins spa or relaxing massage.